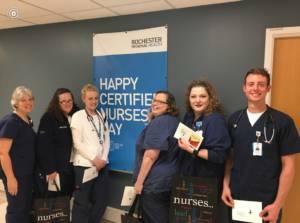 Rochester Regional Health proudly celebrated Certified Nurses Day on Monday, March 19. To all RRH certified nurses, thank you for everything you do daily for our patients. Posted March 26, 2018 under _Featured Stories List, Locations, News, Unity Hospital, Weekly Beat.